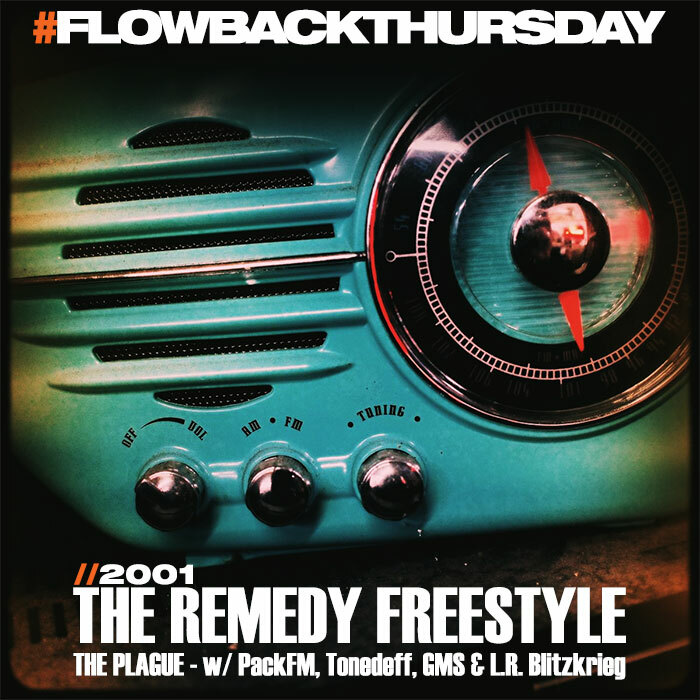 This week’s #FlowbackThursday is taken from an extremely rare 2001 radio appearance by The Plague, on a show “The Remedy” (we love you irony). PackFM alongside fellow members GMS, L.R. Blitzkrieg and Tonedeff go seamlessly back and forth showcasing amazing chemistry on the mic for more than 9 minutes!. The Plague began as a NYC battle crew and after listening to this segment you’ll know how they got their rep as the sickest cats not to be messed with.